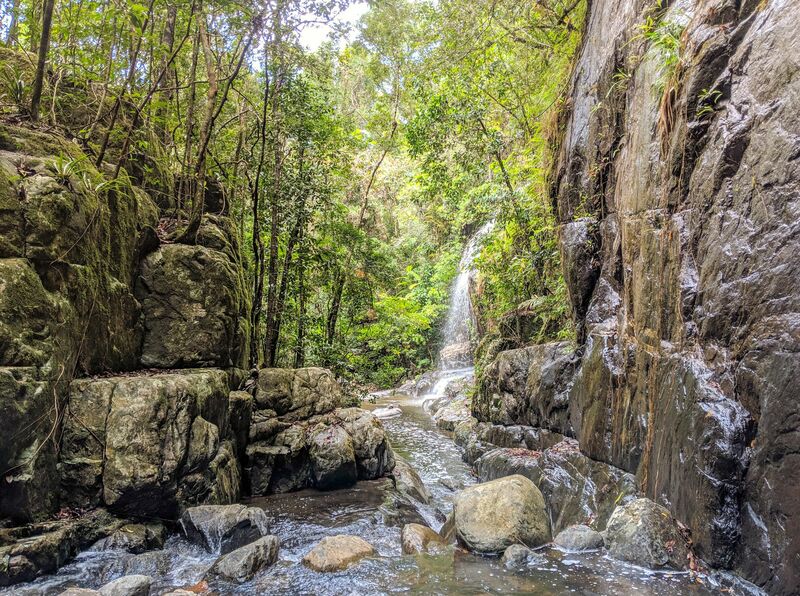 This creek reminds me of "The Terraces" - waterfall after waterfall albeit quite different. 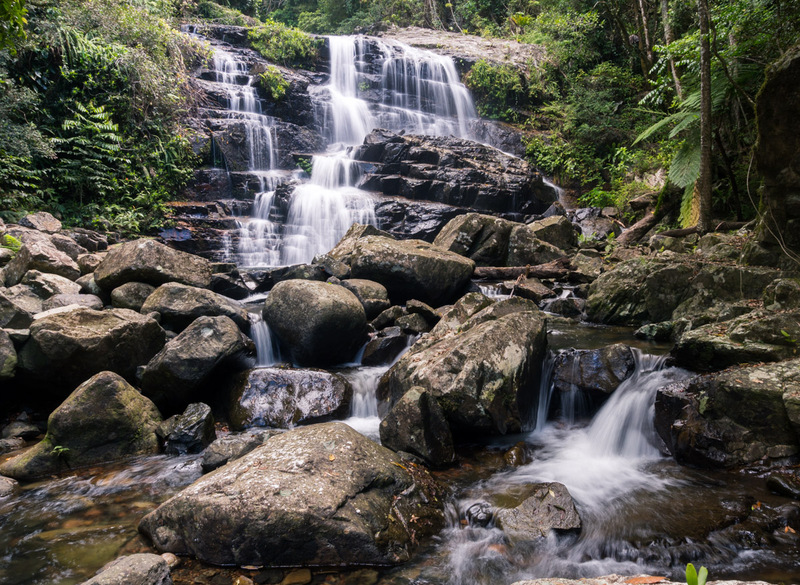 Very beautiful, untouched scenery with mossy rocks and large king ferns surrounding the creek. 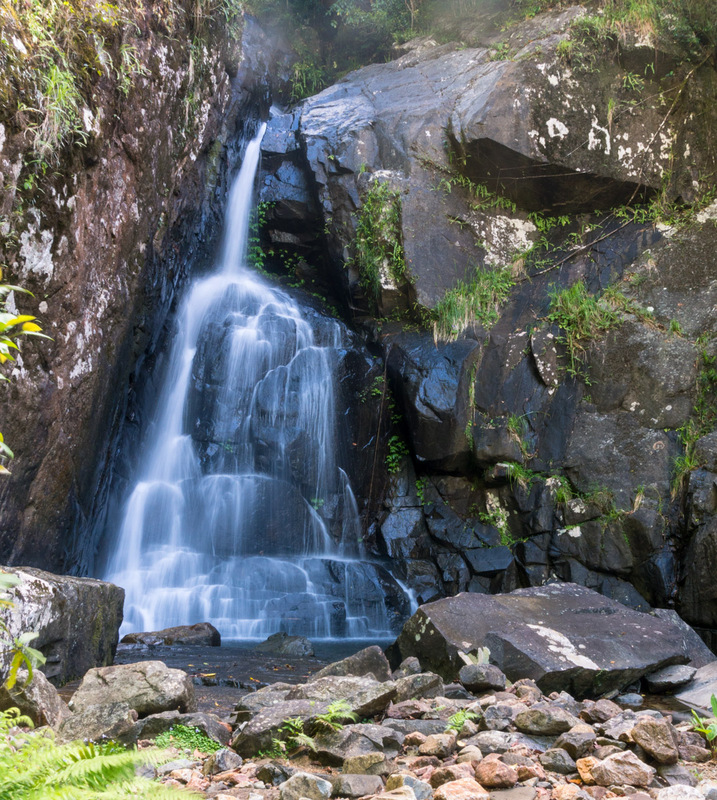 Organise a car shuttle from Paluma Dam to Mango Tree carpark (the Rockslides car park). 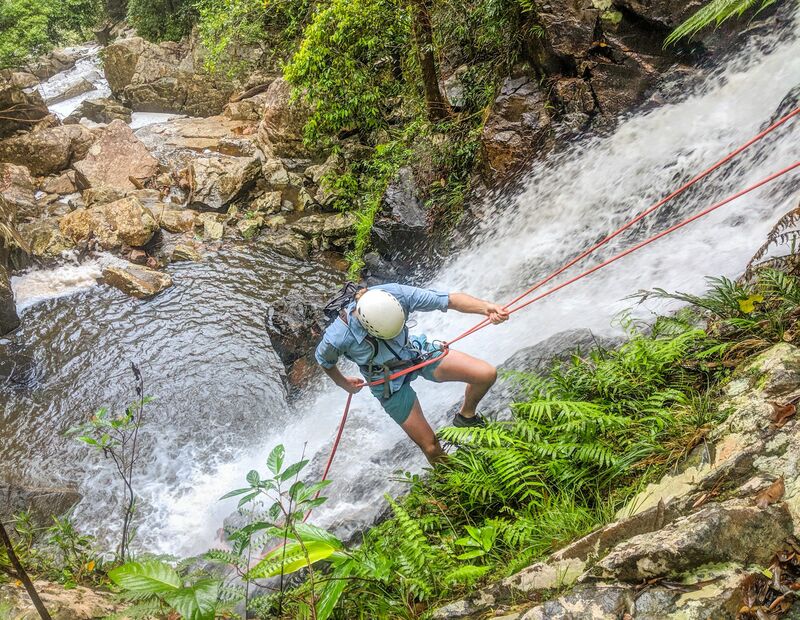 Walk in via Paluma Dam past Crystal Falls to Gold Creek Falls, and rappel down the creek to the inlet plant. 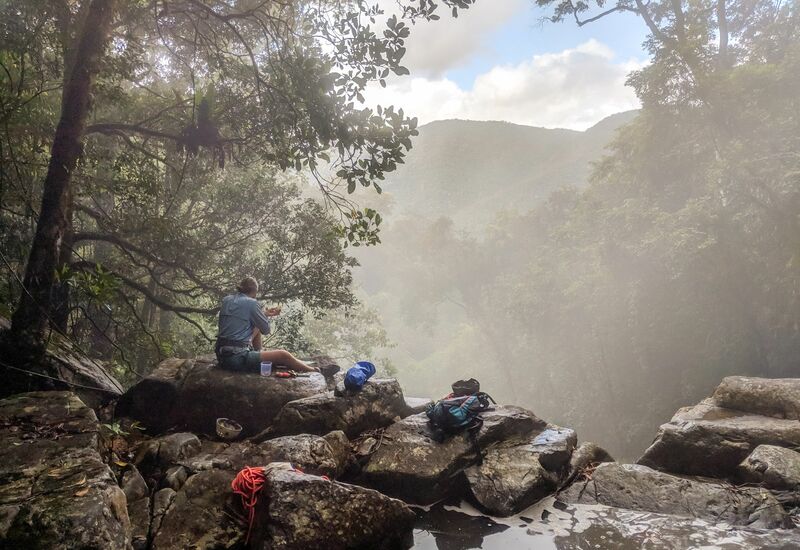 Or walk from Paluma Dam to Crystal Falls, rappel down the falls to Gold Creek fork and rock climb up Gold Creek to the Bullocky Tom's Track and walk back to Paluma Dam. 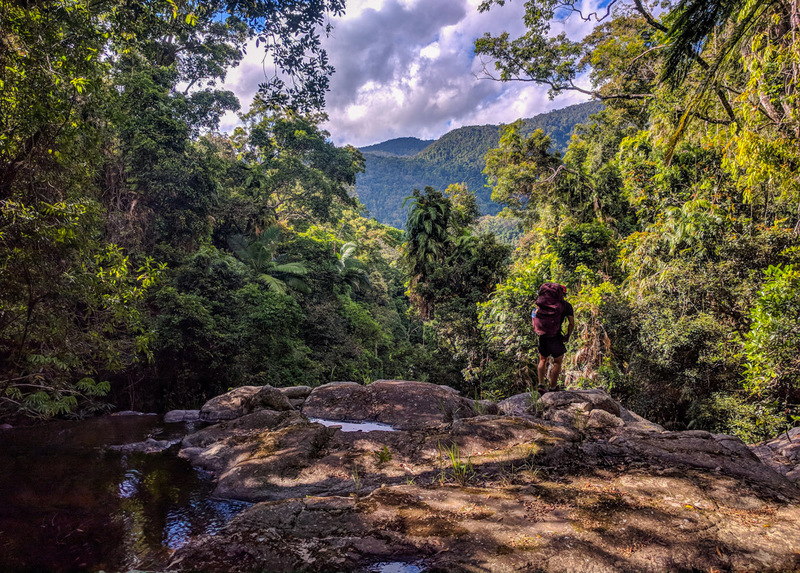 Or walk up the Bullocky Tom's Track to Gold Creek Falls and rappel down the falls and continue downstream to the water intake plant and water back along the road to the Mango Tree carpark. 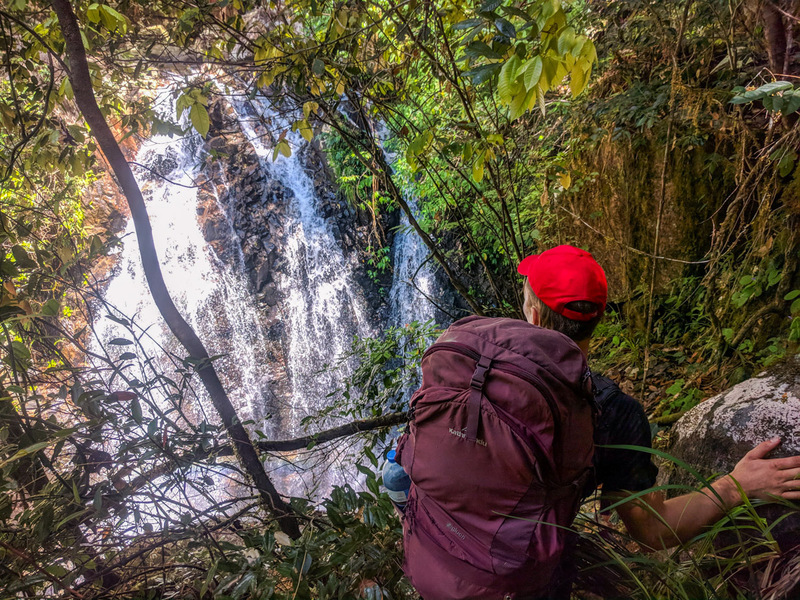 I recommend starting early and hike up "Bullocky Tom's Track" to Gold Creek Falls (2 hours) and then abseil down about 10 falls to join into Crystal Creek's lower section. Two more raps before exiting the creek at the intake plant and walking back along the road to the car. 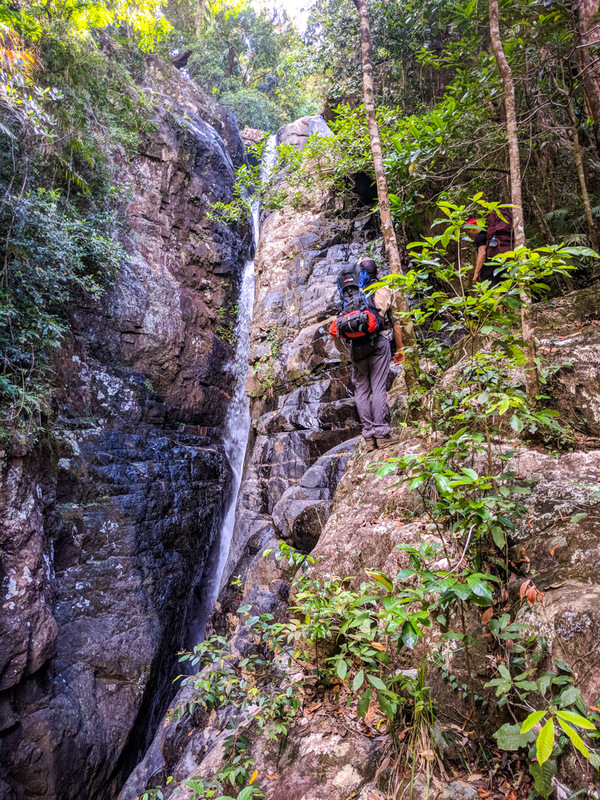 Gold Creek has many waterfalls and plenty of natural anchors to rappel from. 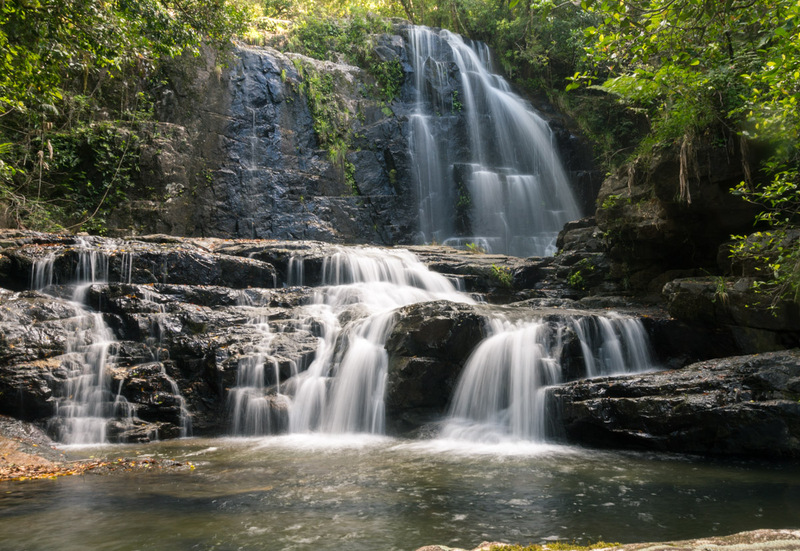 It's very beautiful but the rocks can be slippery due to the moist and mossy nature. King ferns are present in this area. 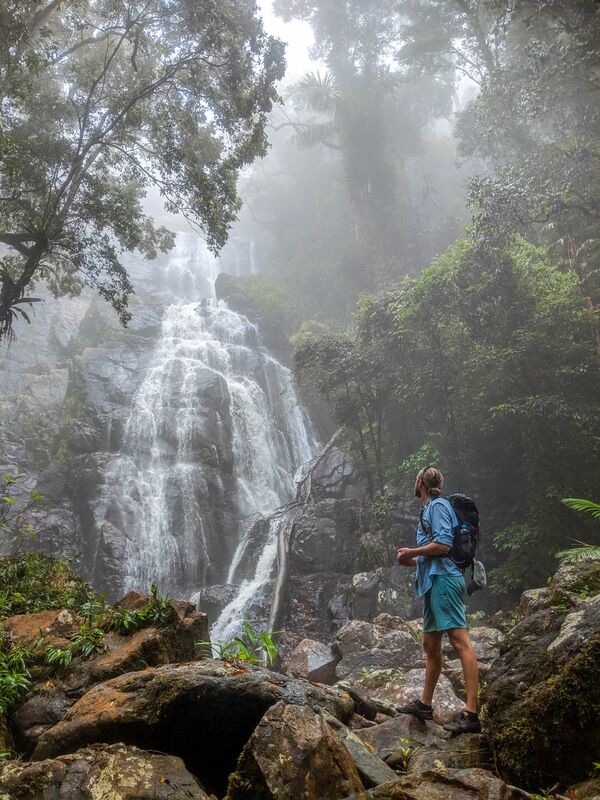 Most of Gold Creek is shaded by the rainforest canopy so sun protection is not needed until you enter Crystal Creek. Note take we take the Paluma tracks to Crystal Ck or Gold Ck so no bush bashing is involved. about 1L of water for the walk in. Refill at the creek. Shoes; I recommend shoes that have grip on wet mossy granite rocks, drain & dry quickly. A 60m rope, harness, rappel device, prusik and carabiner as a third hand. Please bring an extra set of clothes to leave in the car at the bottom. See the Crystal Creek article for rappels downstream of the junction.